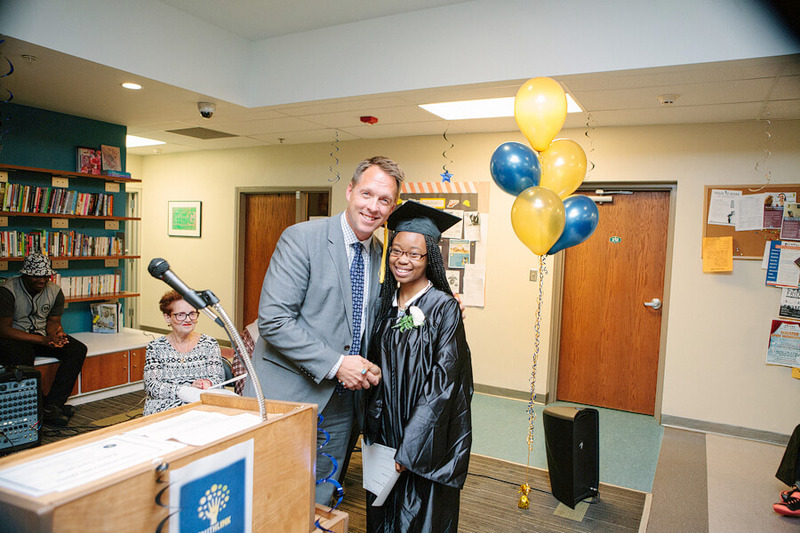 Earning your high school diploma or getting your GED is no small feat when you’re experiencing homelessness, but on June 17th we celebrated a group of youth who did just that. One family of donors provides the highlight of our graduation ceremony each year. The Tiffany L. Harmon Memorial Scholarships, created in remembrance of Tiffany Harmon, a beloved YouthLink staff member who passed away in 2010, support youth on their journeys to postsecondary education through tuition and book assistance. “I’ve spent my whole life in education, I taught, I was a principle, I worked in higher education. I know that education is the way to give youth a sense of accomplishment and responsibility, so this seemed like the perfect way to remember Tiffany”, says Dr. Rebecca Harmon, Tiffany’s mother. If you would like to make a gift in memory of a loved one, please contact Frances Roen, Director of Development, at 612-252-1283 or roen@youthlinkmn.org. 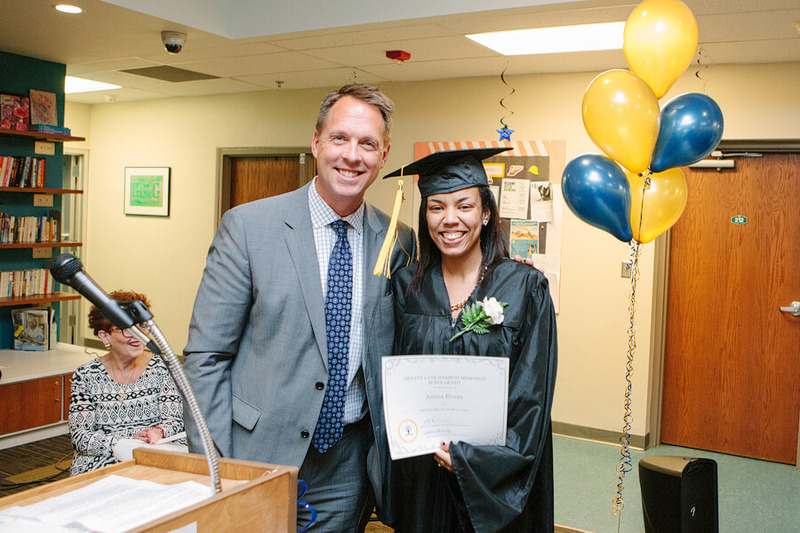 Congratulations to this year’s scholarship recipients, Maggie and Anissa – pictured here with YouthLink’s Board Chair, Will Roach.